​Production is through the roof. Offshore drilling could make a comeback. And anti-pipeline protesters risk felony charges. During the country’s fourth-hottest summer on record, a group of activists headed to the Atchafalaya swamp in Louisiana. They chained themselves to excavators and constructed “sky pod” tents among the trees, part of an attempt to stall construction on yet another crude oil pipeline underway in the United States. Energy sources of the future are “not going to be oil,” activist and organizer Cherri Foytlin said by phone in July, making time for an interview before she had to bail some protesters out of jail in New Orleans. “Very clearly, we can see that one of the fastest growing industries in the world is renewable energy,” she added, sounding optimistic despite the legacy of influence stacked in the pipeline operator’s favor. As weather grows more extreme, over half of Americans and even major oil companies that do business here now say they think that man-made climate change is a real problem that needs to be fixed. That oil companies want to solve the global warming crisis is a nice message, but it’s not one in line with reality. Across the United States, the fossil fuel industry appears to be betting on a future that is increasingly dependent on oil and gas, regardless of any climate concerns that could get in the way. Crude oil production last January reached 10 million barrels a day, shattering a record previously set in 1970. By next year, analysts predict that number will reach 11 million barrels. “This would push the U.S. into first place among the world's oil producers,” industry engineer and investor Robert Rapier said in March. Natural gas production is on a similar track, estimated to reach record production levels of 81.3 billion feet per day this year. The industry is now eyeing talent in Silicon Valley to help them digitize their land records. The news is overwhelmingly positive, as long as industry firms ignore the depressing field of climate research. “We are doing worse,” says Henrik Jeppesen, an analyst with Carbon Tracker, a financial think-tank that urges shareholders and investors to consider the threat of climate change. Jeppesen, who heads Carbon Tracker's efforts in North America, compares the fossil fuel industry to a drug dealer that is all-too-happy to feed society’s addiction to oil. “As long as oil and gas production and output continue to increase, it is very hard to argue that there will be any decline in emissions, because a barrel of oil and gas eventually will turn into an emission at some point,” he tells ConsumerAffairs. No single advocacy group or agency is calculating the entire country’s carbon footprint, but advocacy groups currently track different pieces of the puzzle. When the federal government invited even more oil and gas companies to drill on public land in Wyoming in 2014, conservationists hoping to stop the rampant development in a state known for picturesque frontiers knew they needed to act quickly. So they sent a fax. The federal government “is approving record numbers of large oil and gas development projects in Wyoming,” said the fax from the WildEarth Guardians, one of half a dozen conservation groups that protested the sale. The Wilderness Society, another conservation group, had similar concerns, but a technical problem somewhere along the way delayed the message. Two months later, the Bureau of Land Management (BLM) sent them a letter saying that their protest fax had arrived 12 minutes late and could not be counted. Oil and gas leases on federal land have rapidly picked up in recent years, according to conservation groups that track federal mineral leases. But protesters who want to fight the development must deal with the indignity of a fax machine or post office; the BLM refuses to accept protests via email. "It's a really unbalanced system. When the industry wants to nominate parcels for lease they can do it online in a click of a button,” says Juli Slivka, a policy analyst with The Wilderness Society, which tracks oil and gas leases on federal land. Since Trump took office, the BLM has since opened up millions more acres for drilling -- while cutting the time available to protesters down by a third. The agency still refuses to accept email from people filing complaints. Other battles pitting environmental groups against the federal government tell a similar story of a bureaucracy that miraculously acts quickly when it is in service of the industry. In 2012, the Corps of Engineers introduced a fast-track permitting process for new oil and gas pipelines, allowing projects to be approved at a rate unlike any environmentalists said they had ever seen. Companies like Shell have put natural gas at the front and center of their sustainability initiatives. They say that its “clean-burning” properties are a key tool in the fight against global warming. But years of research suggest that methane, a potent greenhouse gas and a component of natural gas, leaks throughout the drilling process, essentially undoing any climate benefits the domestic fracking boom responsible may have brought. In June, a study led by the Environmental Defense Fund said that natural gas operators are leaking methane at rates 60 percent higher than current EPA estimates. The leaks occur across the process, from drilling to transmission, according to the research. On drilling sites, methane leaks are “not a concern that we hear people talk about very much,” says Kate Richard, the president of the investment firm Warwick Energy Group. Indeed, the industry doesn’t have much reason for concern. The Trump administration this month announced a new proposal to roll back what methane emission regulations did exist and save the oil and gas industry $75 million in the process. Natural gas companies celebrated the move. "By fixing the numerous technical problems with the original rule, EPA will enable industry to continue its four-decade success record of reducing methane emissions,” industry firm Western Energy Alliance's President Kathleen Sgamma told InsideClimate News. Meanwhile, back in Louisiana, lawmakers recently enacted a new state law that makes trespassing on pipeline construction sites a felony, part of a nationwide trend intended to tamper environmental protests. The law had only been in effect in the state since August 1. But by mid-September, the environmental activists organizing and camping out estimated that at least ten pipeline protesters had been arrested under the measure. 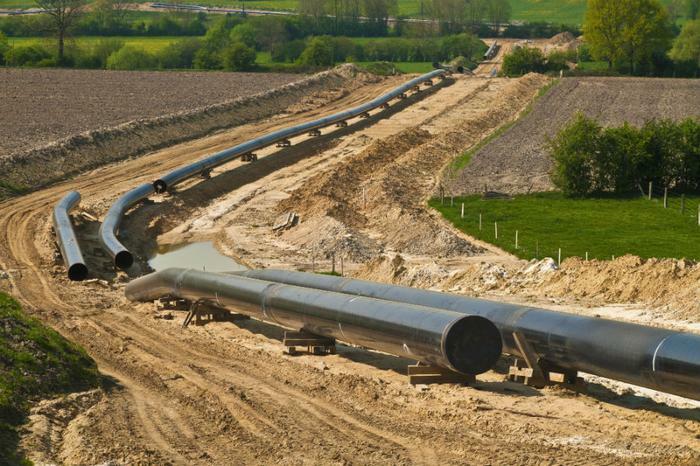 A separate group of opponents is battling pipeline operator Energy Transfer Partners in court. However, because the litigation isn’t stopping construction, the protesters are acting as human placeholders. Whether they will face felony charges for doing so remains an open question. "I hope to God no more felonies," Foytlin said. "But if there is, then they will be righteous ones."